Look at what I’ve been working on! I did these tree cakes for a Rotary event this past Saturday. It was held at Arrowhead Golf Club, which is just a beautiful setting. 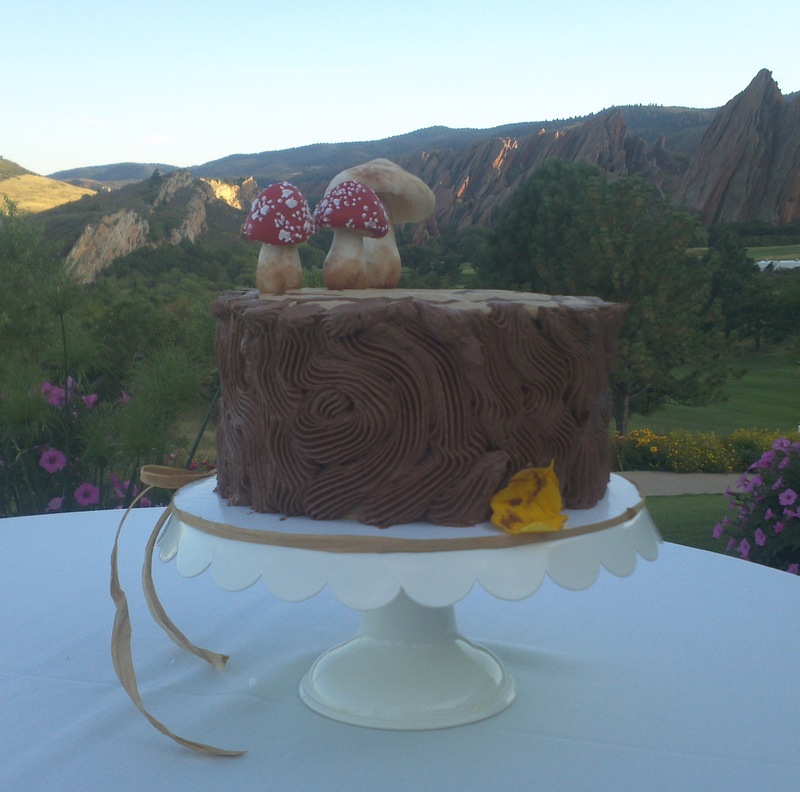 I handmade the mushrooms and leaves out of fondant. The toadstool mushrooms’ spots I hand piped with royal icing. I also hand piped the tree rings and the bark. I made nine of these cakes, though I’m only showing one. Each one had it’s own mushrooms and leaves. I did different kinds of leaves, though you can’t see them in this picture. Sorry! I’ll have to do some more. The cakes were pumpkin with chocolate frosting. 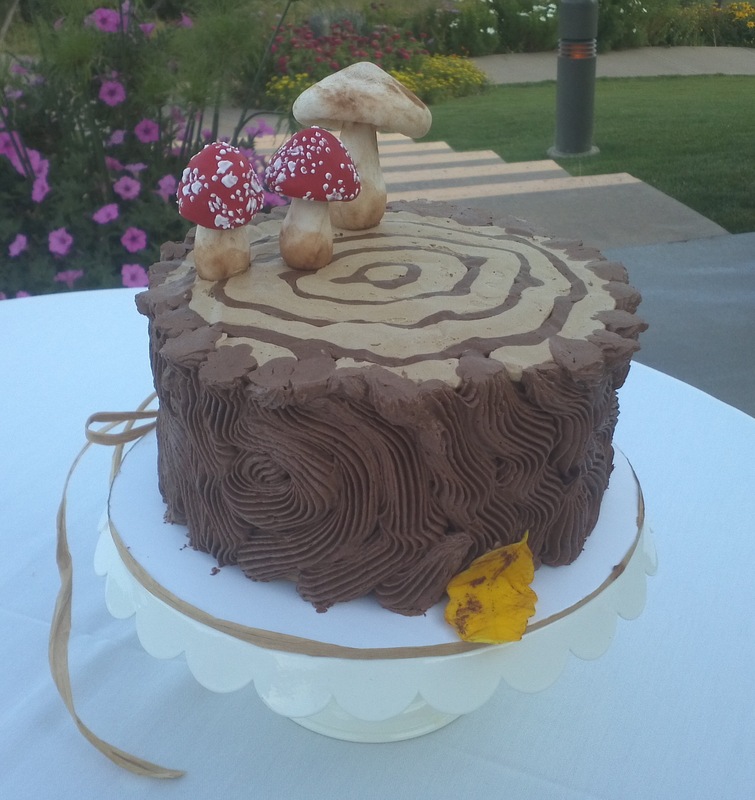 This entry was posted in Other Cakes, Uncategorized and tagged autumn, bark, button mushrooms, cake, chocolate, design, dessert, fall, fondant, leaves, mushroom, pumpkin, rings, slice, stump, toadstool mushrooms, tree on September 17, 2012 by Lulu.